This is a great item for you traveling BBQ master or for those who like to keep things neat and tidy in between uses. Chefmaster put a nice kit together for grilling. 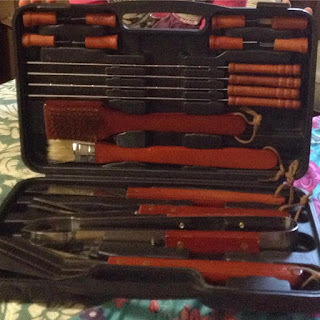 The set has 4 skewers, 8 corncob holders, a grill cleaning brush, basting brush, meat fork, spatula knife, and tongs. For gift giving I would find a apron to complete the gift. 19 pieces in a nice molded case. This is my kind of item. Even after several used everything cleaned up well and set in the case nicely. This has the BBQ look all over it. Although I prefer black handles the stained handles make this look great in the outdoors. 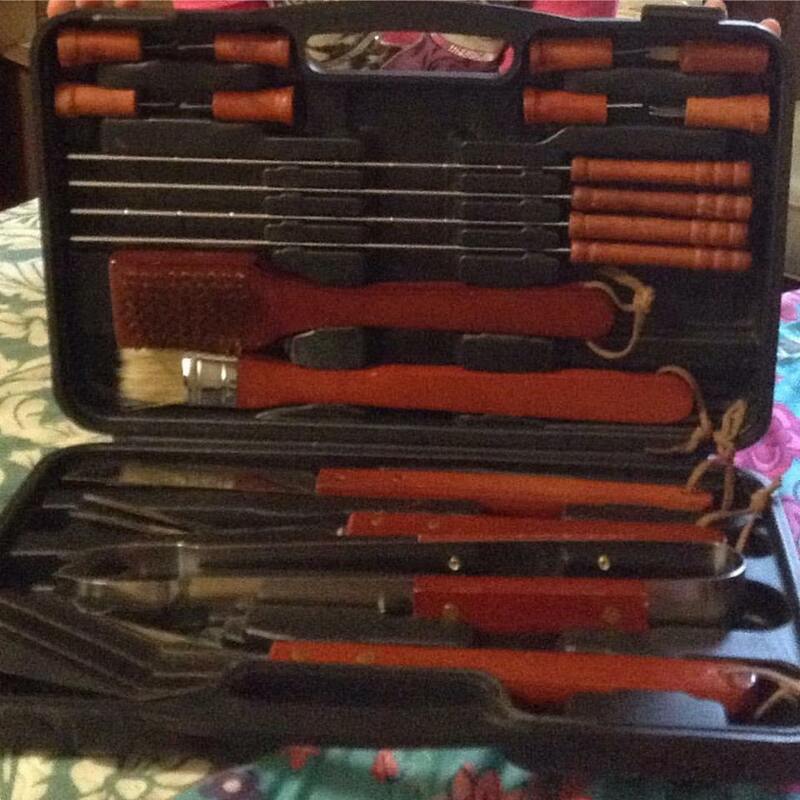 The Chefmaster 19 pc BBQ set can be found on Amazon. Disclosure: MarksvilleandMe received one or more of the products mentioned above as part of a promotion with Tomoson and Chef-Master. Regardless, MarksvilleandMe only recommends products or services we use personally and believe will be good for our readers. Some of the links in the article may be “affiliate links.” This means if you click on the link and purchase the item, I will receive compensation. If you would like MarksvilleandMe to review a product or service please contact us at marksvilleandme@gmail.com.